My daughter's nightlight has gone missing and I keep forgetting to pick her up a new one when I am out at the store. But I do have a battery operated tea light and with the addition of a fun Christmas printable I can create a cute Christmas tea light lamp that will be better than anything I could pick up at the store. The only problem is that the sweet little five year old that is full of Christmas spirit might stay awake all night looking at it. 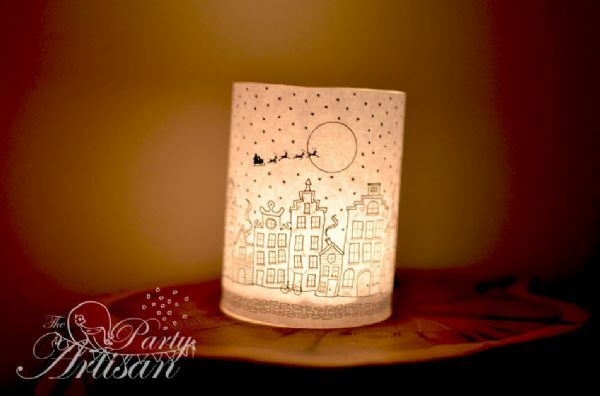 You can find out how to make a Christmas Tea Light Luminary and get the free Christmas printable over at Party Artisan.